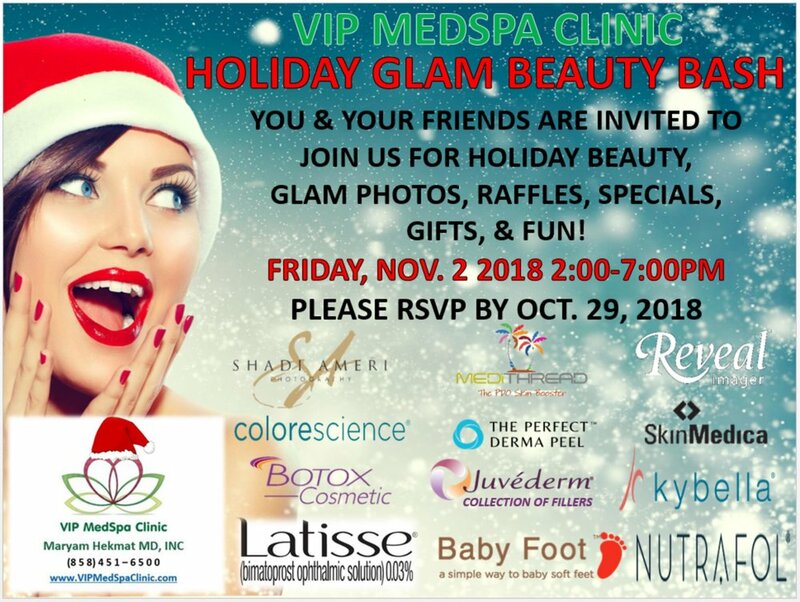 We are having a Holiday Glam Beauty Bash party with VIP MEDSPA CLINIC ! SkinMedica, Botox Cosmetic and much more. I will be providing headshots for attendees and a $500 gift voucher towards your next photoshot plus one lucky winner will receive a glam photoshoot value $1200. We would love to see you and all your friends there!